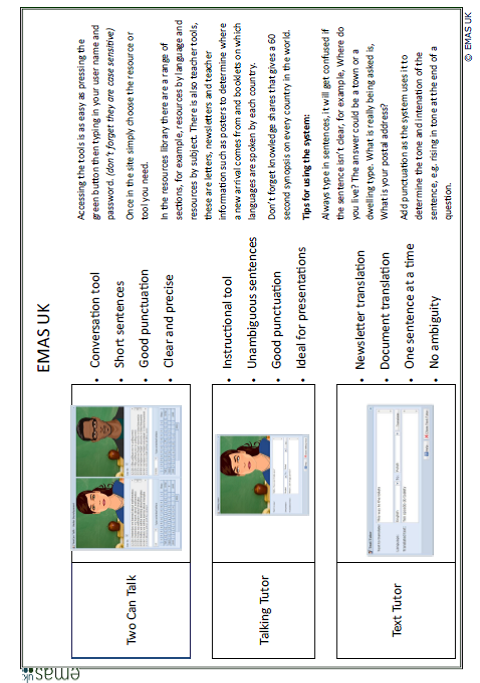 As a Design Technology -Resistant Material specialist many teachers I have worked with see it as a subject that is easily accessed by EAL pupils. This is mainly through misconception as they believe that as it is a largely practical subject then they can access it. What colleagues often forget is that, like Science, the practical aspect of a design challenge is only one small part of a process. Also included are the complex tasks of time management, development of an idea from concept to delivery, evaluation of the process which requires the development and use of investigative and planning skills throughout. There is also a high level of academic language required to understand the individual process involved. 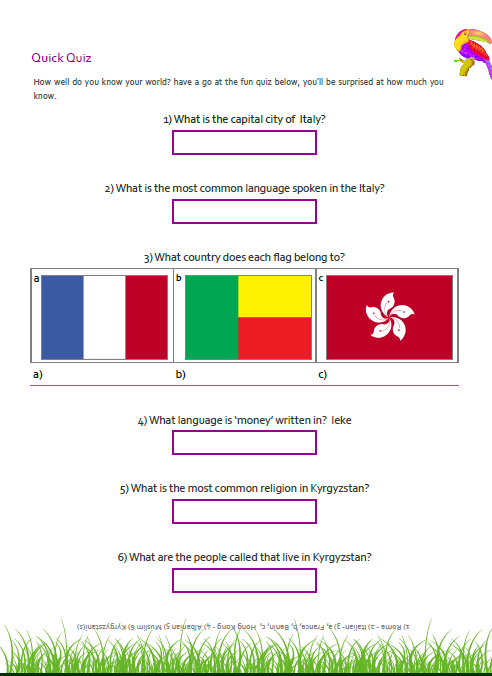 Using Talking Tutor to give information to support their language development is really easy and also allows you or a teaching assistant to use previous experience to support and develop their learning quicker. It works very simply just put yourselves in their shoes. 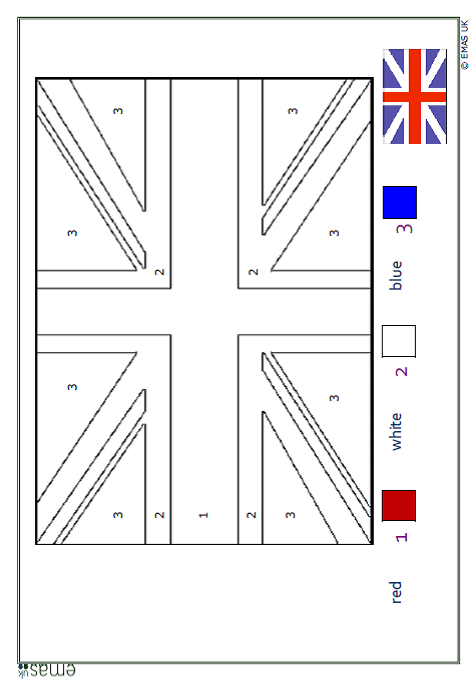 Option B – recognise they know what we mean by the academic word adding up, drawing, cut etc. but in Greek so share the word for this concept in English. 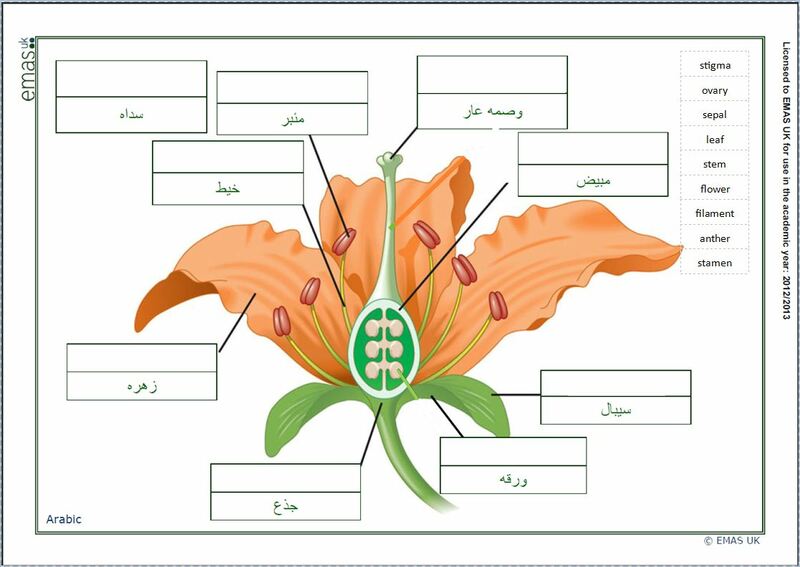 In this way it speeds up the academic words learning process. It also improves the level of understanding. In my school I always choose option B mainly as I have always had a time constraint called exams where everyone is tasked to achieve. 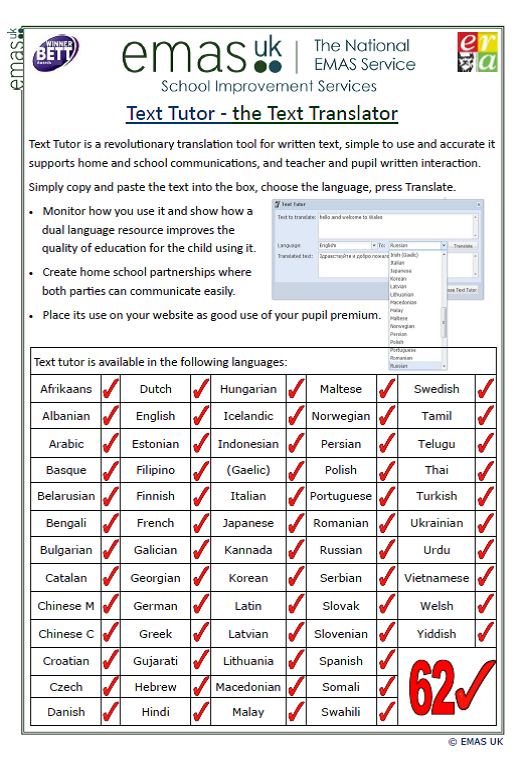 By using Text Tutor which is currently on offer you can easily support academic language development in DT or any subject with a little extra thought about where the best use will be. 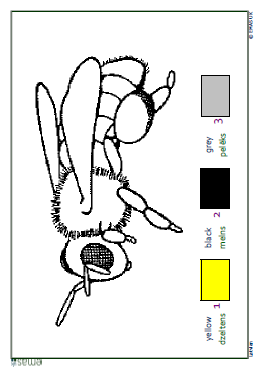 NB Depending on the age of the child, those schools where access is always available and learning is paramount in their room, the students learn to just log on and find out the equivalent word and then get on with what they are doing. Interested? 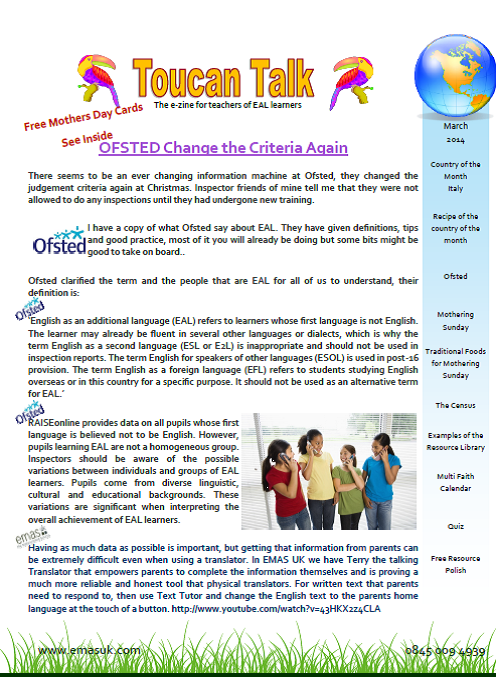 Toucan is now available in your inbox if you have subscribed to it or download http://www.emasuk.com/education and choose our free teacher magazine. 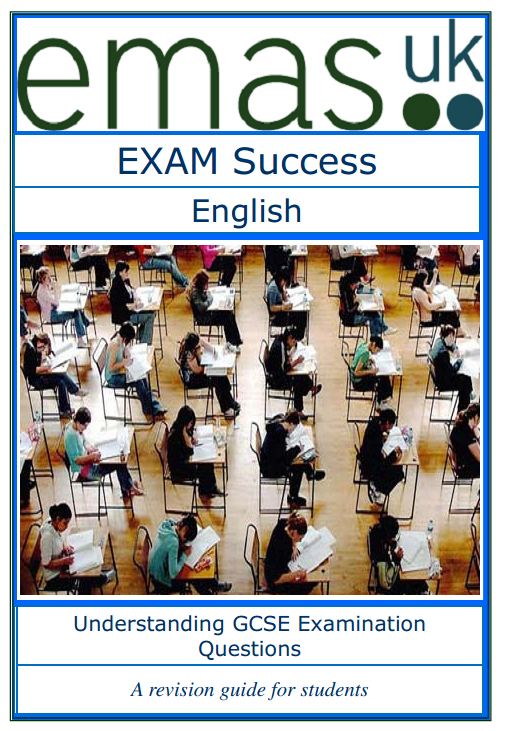 To subscribe email info@emasuk.com . Here are some highlights from the newest magazine. 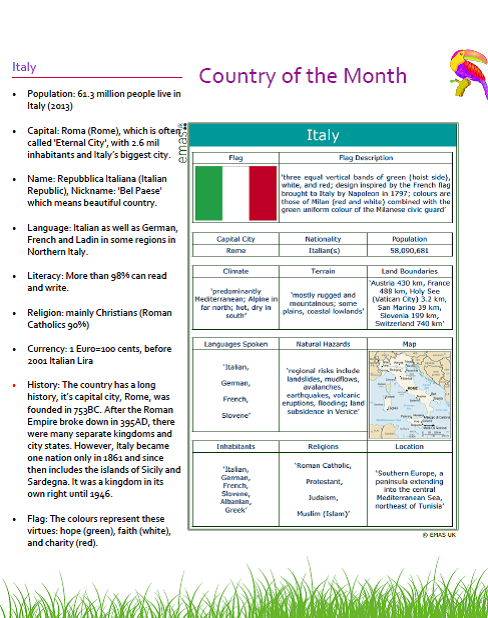 Every magazine has a different country of the month with information which is good for Geography and PSHE as well as for wall displays and background information for teachers. Every magazine has a quick quiz (with the answers), a free teaching resource as well as a faith calendar . Useful information to save you researching. 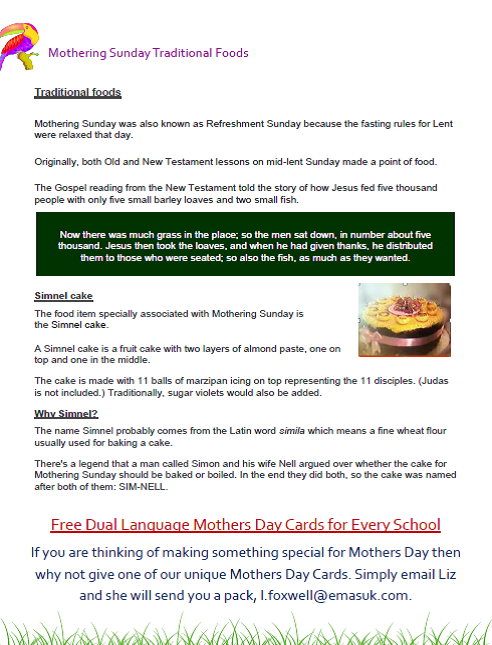 This time its about Mothering Sunday good for RE and Early Years teachers but it has been on many other traditions and cultures to develop our own understanding of different cultures.